Rest like royalty upon this gorgeous stool! 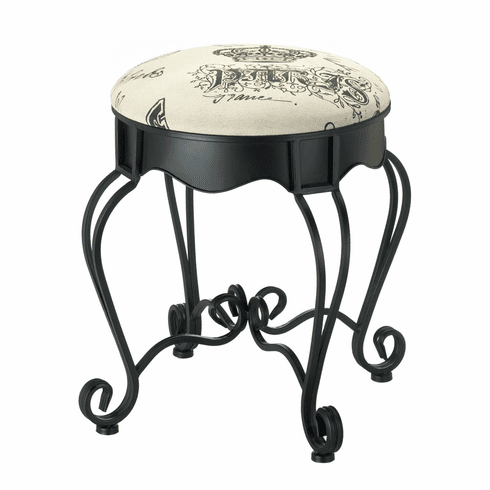 The metal base features regal flourishes and the canvas-covered cushion fits a kingdom’s worth of style in a small space. Item weight: 7.8 lbs. 16½" diameter x 20½" high. Iron, canvas and sponge. UPC: 849179025205.